PelletPAVE binder is stored at ambient temperature saving energy normally required to keep the asphalt as a molten liquid. This energy savings also greatly reduces emissions. With the hot mix producer being able to modify their own base oil without any additional equipment PelletPAVE becomes a very cost effective option. PelletPAVE is added through the RAP collar or directly into a pug mill where it is blended with the base oil and heated aggregate to produce a rubber modified hot mix. The PelletPAVE pelletization process creates a precise pre-manufactured matrix of asphalt and modifiers with an outer shell coating of dependable consistency. No need for agitated storage tanks. No more field blending at the hot plant site. No chance of material separating in storage tanks. The PelletPAVE™ family of products are high performance, engineered binder enhancers made of a unique blend of premium quality asphalt cement, crumb rubber made from recycled scrap tires and other special additives. All formulas start with "wet process" blended and reacted rubber binder. Then in the pelletizing process, depending on the application, various additives are added creating a rubber modified binder that is used to improve the performance of a wide variety of hot mix asphalt mix designs. 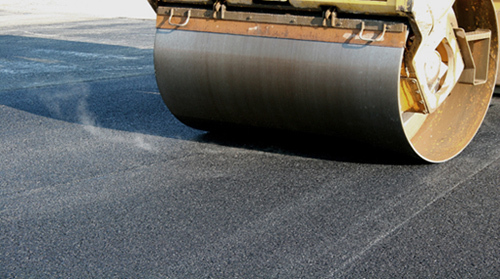 The PelletPAVE pelletization process creates a precise, pre-manufactured matrix of asphalt and modifiers with an outer shell coating to keep the pellets in a free-flowing form that is transported and stored at ambient temperature, thus saving enormous amounts of energy normally required to keep the asphalt as a molten liquid. This energy savings also greatly reduces CO2 & NOX emissions helping to reduce the environment impact of the hot mix plant. At the time of use, the proportional amount of the PelletPAVE additive is mixed, either through a RAP collar of a continuous flow drum mix plant or directly into the mixer of a batch plant where it melts and is blended with the metered base oil and heated aggregate to produce a rubber modified hot mix asphalt. Click the button below to see some of our products.